Following Charles’ death, Caroline and Mary Ingalls settled into a comfortable routine in Desmet, South Dakota. Carrie’s travels took her around the country, Grace and Nate lived on their homestead nearby, Laura and Almanzo had their lives in Missouri, and Rose had moved to San Francisco and married Gilette Lane. To make ends meet, Caroline rented out the upstairs rooms of their little house in Desmet, took in laundry, and sold fruit from the trees on their land. Mary created fine knotted and beaded handicrafts and hand tied fly nets. 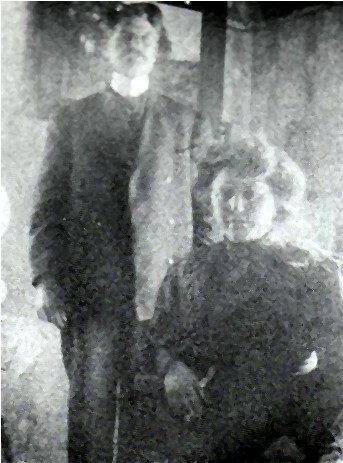 In 1911, Carrie Ingalls met David Swanzey, a Black-Hills pioneer and widower with two children, and they married a year later. David Swanzey became a prospector and owner of several gold mines and other properties in Keystone. When mining in the area stopped, the carvings on Mount Rushmore kept the town alive. The Swanzey home was along the road to the mountain, and Carrie’s stepson, Harold, participated in its carving. It was David Swanzey who gave Mount Rushmore its name. As the years went by, Caroline and her oldest daughter were each other’s constant companions. The tall and thin Mary and her short and matronly mother often took walks together in town. Mary helped her arthritic mother walk, and Caroline helped her blind daughter see. Desmet, SD. The building at the front of this picture is where the Ingalls family spent the Long Winter. Photo origin, unknown. Caroline’s early years had been filled with adventure. She had experienced countless exciting adventures and witnessed the transformation of the American frontier. She had traveled hundreds of miles by covered wagon, raised her daughters in little houses, hotels, in the upstairs rooms of businesses, rented houses, and claim shanties. She had lost and buried a child somewhere along the way, and she had used her creativity and ingenuity to keep her family alive and hopeful during the Long Winter. She had helped raise children, crops, communities, and churches. She had lived a full life. She remained as active in the Desmet community as she physically could, and with her friends and neighbors, attended the Congregational Church that she and Charles helped to build decades earier. 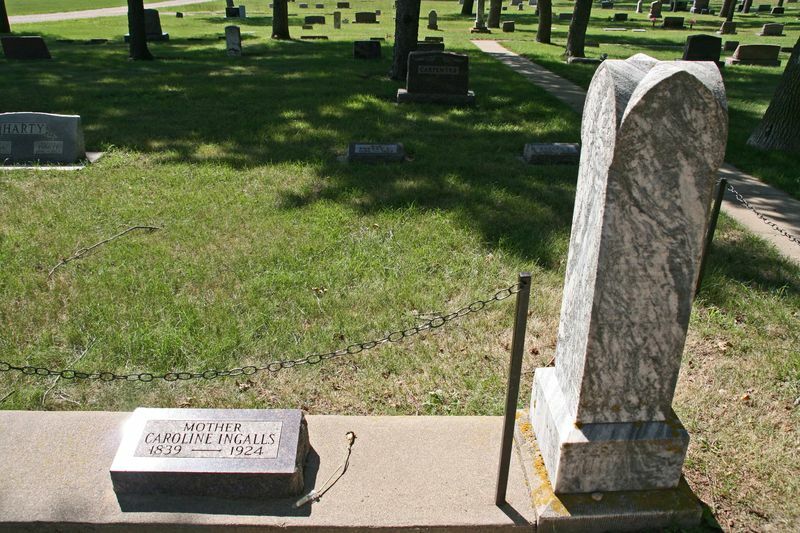 On Easter Sunday, April 20, 1924, Caroline Quiner Ingalls passed away quietly in her home after a short illness, and was buried beside Charles in the cemetery in De Smet. Grace continued to help care for her older sister, but Mary never completely recovered from the loss of her mother. Although Laura was unable to attend her mother’s funeral, Caroline’s death had a profound impact on her. She began to look back at her life, her family, and her unique childhood, and she began writing letters to family members for their memories of her family history. 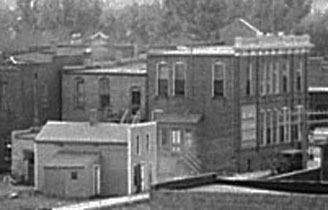 In 1926, Mary visited her sister Carrie, in Keystone, South Dakota. Just before she was to return to Desmet, Mary suffered a paralyzing stroke. For more than a year, Carrie cared for her sister, until Mary suffered one final and fatal stroke in 1928. She was buried in the Desmet Cemetery with her parents. 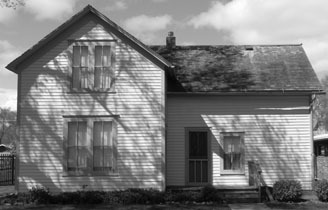 Mary willed the house in Desmet to Carrie, and throughout the 1930’s, it was rented out to several different families. As another important part of her childhood disappeared, Laura continued to write her memoirs. 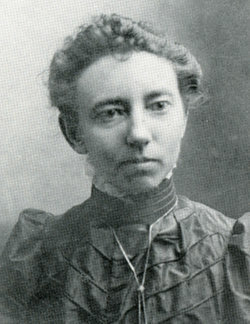 At the encouragement of her daughter, Rose, who was a successful writer in her own right, Laura submitted her autobiography, Pioneer Girl, for publication. One by one, her manuscript was rejected by publisher after publisher. With Rose’s guidance, Laura retooled Pioneer Girl for a younger audience. She omitted her unhappy, dark, and gritty memories and transformed her life story into a romanticized version of her childhood. She resubmitted her work as an historical fiction novel for early readers. In 1932, Little House in the Big Woods was published, and immediately became a success. 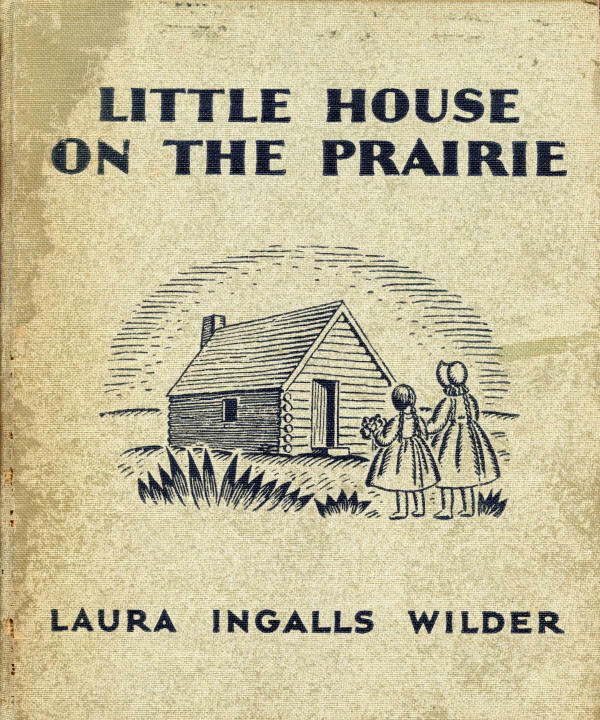 Grace Ingalls Dow died in 1941, and in 1944, Carrie sold the little house in Desmet. Later that year, Carrie traveled to Missouri to visit Laura. Carrie was enthusiastic about her sister’s successful novels, and shared her childhood memories with Laura for her books. 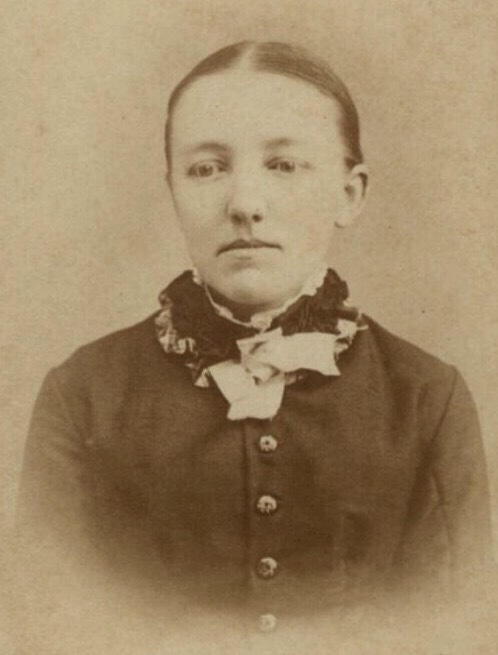 In 1946, Caroline “Carrie” Ingalls Swanzey passed away, and was buried in Desmet. 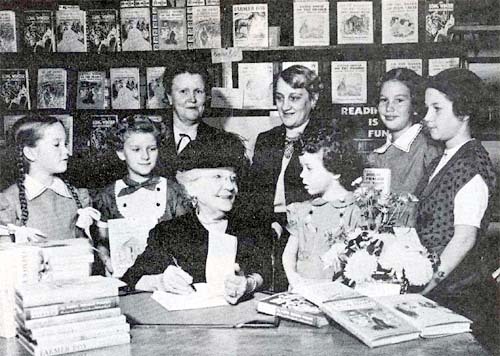 Between 1932 and 1943, Laura published seven historical fiction novels about her childhood (and one about her husband, Almanzo’s). As Laura Ingalls Wilder became one of America’s most beloved authors, her mother, Caroline, became immortalized as one of America’s most beloved mothers. Though the character of Ma Ingalls in Laura’s novels was not 100% historically accurate, the legend of Caroline Quiner Ingalls endures almost a century after her death.